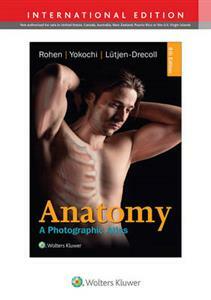 Prepare for the dissection lab and operating room with Anatomy: A Photographic Atlas , 8e. Featuring outstanding full-color photographs of actual cadaver dissections with accompanying schematic drawings and diagnostic images, this proven text depicts anatomic structures more realistically than illustrations in traditional atlases. Chapters are organized by region in the order of a typical dissection with each chapter presenting topographical anatomical structures in a systemic manner. Authentic photographic reproduction of colors, structures, and spatial dimensions as seen in the dissection lab and on the operating table help you develop an understanding of the anatomy of the human body. Functional connections between single organs, the surrounding tissue, and organ systems are clarified to prepare you for the dissection lab and practical exams. Clinical cases and over 1,200 images enhance your understanding. Dissections illustrate the topographical anatomy in layers "from the outside in" to better prepare you for the lab and operating room.